How unresolved historic conflicts inside a nation undermine its future. The idea of a centralist Spain became especially violent when Franco tried to suppress regional identities. After Franco died, Spain’s constitution was designed to satisfy very diverse political forces. This is the first part of a two part essay on the history of Spain’s regional autonomy system and its modern fiscal impacts on the nation. 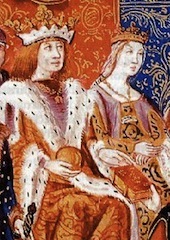 In 1469, Isabella of Castile, which was the largest of the Spanish kingdoms, married Ferdinand of Aragon, heir to the next-largest kingdom. In 1512, they annexed the Kingdom of Navarre. The outlines of modern Spain were finally established. Since then, the discussion on how to keep these once independent regions all together as one country caused rivers of both ink and blood to flow over the next five centuries. The battle is very much alive today, cast these days as an issue of regional autonomy. Of course, the means to accommodate so many different and competing political entities in a single state has varied throughout the centuries. The local authorities were always careful to preserve their independence as far as possible. Even under the joint rule of Ferdinand and Isabella, their two kingdoms remained technically separate. The successor Habsburg dynasty generally respected the institutions, traditions and laws of its regional client kingdoms across Spain. The latter actually enjoyed considerable political independence for two centuries. But the death of Charles II in 1700, childless and heirless, led to a war of succession between the supporters of the Austrian Habsburgs and those of the French Bourbon dynasty. It became not only be a dynastic dispute, but also the collision of two different ways of understanding the political organization of Spain. Many of the entities that made up the former Kingdom of Aragon — Catalonia among them — supported the Austrian candidate, in hopes he would continue the arrangement of maintaining separate kingdoms. They were opposed to the centralist style that the French candidate represented. Philip V — grandson of France’s Louis XIV, the Sun King and creator of a unified and centralized French nation-state — won the war and established the Bourbons as the ruling dynasty in Spain, where they have remained in power to the present day. Philip brought the centralized organization of the state to Spain, following the example of the Sun-King’s absolutist France. He legally united the kingdoms under one authority. He also saw to it that all privileges and institutions characteristic of the kingdoms that had rebelled against his claim — except those of loyalist Navarre – were abolished. Then, he imposed Castilian laws and institutions throughout the peninsula, beyond Castile itself, in an attempt to homogenize the country. This conception of a centralist and Castilianized Spain would be dominant in the following centuries. It became especially violent during the rule of General Franco, who tried to suppress the regional identities and languages. Franco’s death in 1975, after three years of bloody civil war and 36 years of brutal dictatorship, opened the process for a peaceful transition to democracy. This difficult, uncertain and complex transition process sought to turn Spain into a modern democracy and to provide it with a constitution that would satisfy the demands of very diverse political forces. The consensus that made it possible was achieved largely through ambiguity, postponing until later the discussion of minor issues so the most important agreements could be reached. This prevented the disputes on petty details from derailing the whole process of democratization. One of the most controversial issues that the framers of Spain’s new constitution had to face was the territorial organization of the state. Liberal and Francoist centralists — including the Army — clashed on this point with supporters of decentralization, whether federalists, socialists or nationalists. Again, ambiguity and deferment was the method used to resolve differences. The 1978 Constitution, while enunciating the principle of “indissoluble unity of the Spanish Nation,” recognized the autonomy of the “nationalities and regions” — without specifying any by name. In short, ambiguity continued to rule. This opened the process that led to the creation of the Comunidades Autónomas, or autonomous communities. The Spanish Constitution did not anticipate that the decentralization process should be uniform, given that the demands for autonomy were not. Rather, it envisioned that certain “historical nationalities” — Catalonia, the Basque Country and Galicia — would achieve a higher level of autonomy and more devolved authorities over some policy areas through a fast-track process. The rest, it was assumed, might or might not become autonomous communities later. And if they did, it would be through a different and more restricted route. The asymmetric decentralization that the constitutional assembly had had in mind played out very differently in reality. Demands for equally deep autonomy as that of the historical nationalities soon spread throughout the country to other regions. Andalusia would be the first, followed by the rest of the new communities, many of them arising from the fragmentation of the once centralized Castile. In many cases, the calls for autonomy were without any previous historical basis, unlike Catalonia, for example. This process would be dubbed café para todos — coffee for all — and it translated into regional pacts in the 1980s and early 1990s. The country’s two major parties agreed to equalize the capacity of self-government and policy portfolios of all autonomous communities. More devolved powers and autonomous agencies meant more funds transferred from the central government. What at first was seen as a decentralization process for efficiency’s sake and as a move to please peripheral nationalism, became a race to seize as much power as possible away from Madrid. And under the Valencian Statute of Autonomy, each region would never have less power than Catalonia.